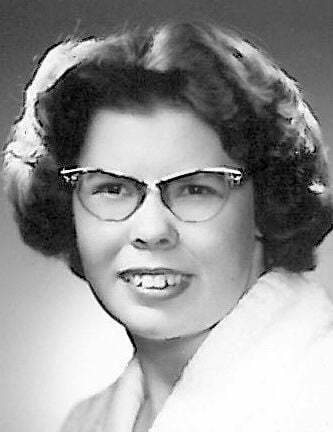 Bonnie E. Russell of Hermiston was born May 20, 1942, in Tulare, Calif., the daughter of Millard and Anna (Jewel) Scott. She passed away in Hermiston on Wednesday, April 10, 2019, at the age of 76. Bonnie grew up, attended school and graduated from high school in Tulare, Calif. After high school, she attended the College of the Sequoias where she studied art. She worked as an animator for Walt Disney Productions for a time. She later worked as a seamstress at Bailey’s clothing manufacturing in Tulare, Calif.
She married Leon Russell on April 22, 1972 in Las Vegas, Nev. The couple lived in Earlimart, Calif., and Connell, Wash., before moving to Hermiston, Oregon, in the early 1980s. Bonnie enjoyed sewing, making clothing and dolls, drawing pictures and going fishing. She was a member of the Kingdom Hall of Jehovah’s Witnesses in Hermiston. She is survived by her husband, Leon; daughters Robin Powell, Darlene Glapenske, Christine Glapenske and Rosie Pyle; 13 grandchildren; many great-grandchildren; and two sisters, Irene Bonds and Rebecca Verissimo. She was preceded in death by her parents and a daughter, Tammy. A memorial service will be held at 10:00 a.m. Wednesday, April 17 at the Kingdom Hall of Jehovah’s Witnesses, 2260 N.E. Fourth St., Hermiston, Oregon. A private interment will be in Tulare, Calif.
Memorial donations can be made to the Kingdom Hall in Bonnie’s memory. Burns Mortuary of Hermiston is in care of final arrangements.